Germany’s domestic intelligence chief, Hans-Georg Maassen, was removed from his office Tuesday evening amid a fallout with German Chancellor Angela Merkel that at times appeared to threaten her political future. Maassen’s dismissal serves as yet another example of Merkel’s ability to fend off challengers. But the case also revealed just how vocal opponents of the German leader, who is in her 13th year in office, have become and how much her immigration policies have polarized the country. This summer, Interior Minister Horst Seehofer almost toppled Merkel’s coalition when he openly opposed her immigration policies, which have long been more welcoming than those of her European counterparts. The latest turmoil was the result of an interview Maassen gave to Germany’s most widely read tabloid, Bild, two weeks ago, after demonstrations and mob attacks on immigrants by far-right and extremist groups in the east German town of Chemnitz. In the interview, Merkel’s spy chief questioned the authenticity of an online video of the incident and contradicted Merkel, who had previously condemned the attacks, relying on that footage and other reports. In one of his many statements fueling the controversy, Maassen told Bild that “there is no evidence that the videos spread online about this alleged occurrence are authentic,” without giving any basis for questioning them. Maassen’s statements caused an uproar among German politicians and journalists, some of whom accused him of playing into a far-right narrative of “fake news” that helped fuel the Chemnitz demonstrations in the first place. After a German man was killed following a brawl with migrants, far-right groups began demonstrating in Chemnitz on Aug. 26. At one point, about 6,000 people took to the streets, with some openly giving the Hitler salute and assaulting immigrants. After the spy chief had indirectly — and apparently falsely — contradicted the chancellor, many expected him to be fired within days. For more than five years, Maassen had been in charge of a domestic spy agency accused of a number of far-right scandals in recent years, including its failure to stop the far-right NSU terrorist group from killing 10 people between 2000 and 2007. After the group’s alleged crimes were revealed, a review of thousands of cases brought to light that 849 more people than originally thought may have been killed by right-wing extremists since 1990. But firing Maassen without the approval of Seehofer, the spy chief’s only major supporter, was considered almost impossible until Tuesday, given Seehofer’s key role in the Christian Social Union, which is part of Merkel’s coalition government. It is unclear what triggered Seehofer’s change of heart regarding Maassen, but the face-saving solution might have been Maassen’s new job as a permanent secretary in Seehofer’s Interior Ministry. As such, Maassen will remain a top-level security official — a deal that will allow Seehofer and other supporters to portray Maassen’s dismissal Tuesday as a de facto promotion to a more-senior-level job. At the same time, Merkel was facing pressure from her other coalition partner, the Social Democrats (SPD), who repeatedly called for Maassen to step down. This week, SPD leader Andrea Nahles stated that “Mr. Maassen must go, and I tell you, he will go,” not only citing his statements about the Chemnitz video but also calling into question his ability to fight right-wing extremism. 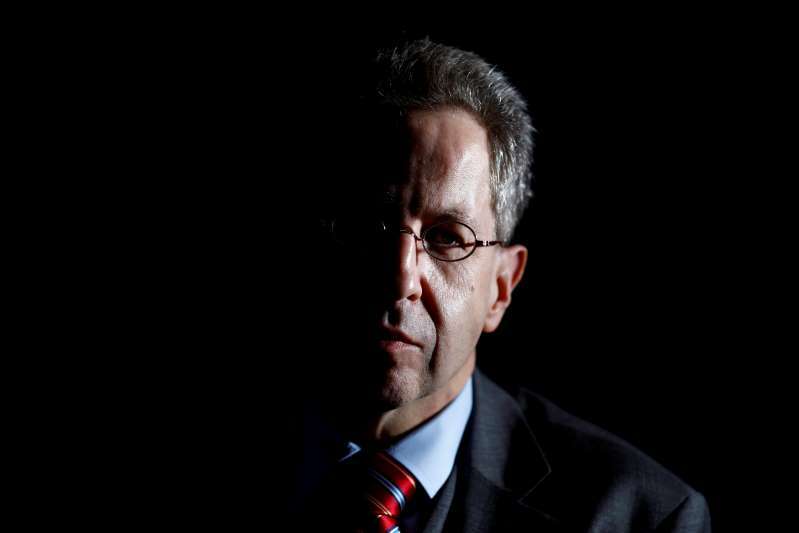 Maassen’s critics argue that he had become a hero of the far right in Germany. At recent protests, Maassen, who was supposed to be Germany’s top anti-extremism official, was applauded by the far right for what it views as support for its agenda. But for other, more-moderate right-wing voters, support for Maassen appeared to be driven more by a dislike for Merkel than by enthusiasm for him. Before his dismissal Tuesday, some German media commentators called the debate over Maassen’s future a stand-in for much larger questions about where the country stands and where it’s heading.